Last year, The Academy faced controversy around the #oscarssowhite hashtag. This year, all eyes are on Casey Affleck. Affleck was accused of sexual assault back in 2010, and after being nominated for his performance in Manchester by the Sea, people have taken to social media to express their outrage. Actress Constance Wu was especially vocal about the nomination, comparing it to President Trump’s election after similar accusations came to light last year. 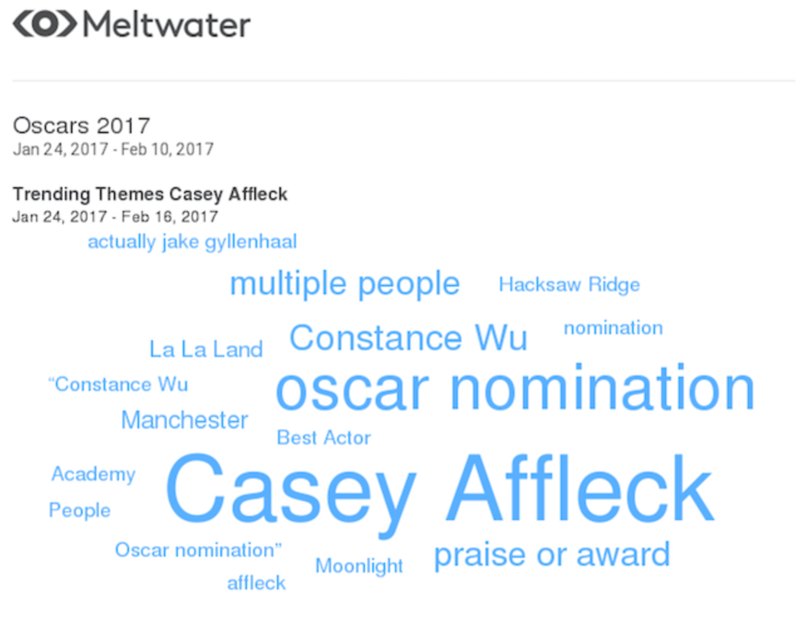 Media intelligence company, Meltwater has taken a look into the trending themes within the social media conversations taking place around Affleck and his nomination. 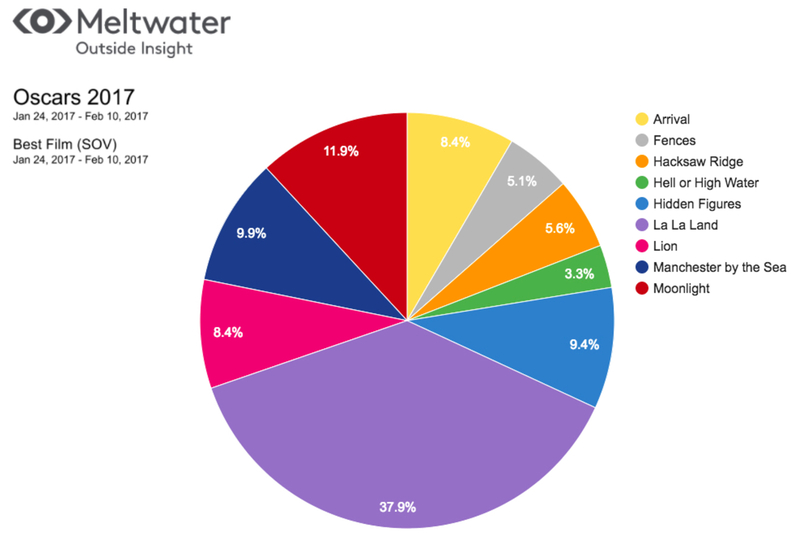 In relation to his Oscar nomination, “Constance Wu” and allegations that Affleck has sexually harassed “multiple people” account for nearly 20 per cent of conversations taking place on social in the lead up to the awards night. Living in an age where social media is very much a barometer for what is going on in the outside world, you can’t help but wonder how much sway the voice of “the people” has in determining the outcome of awards like The Oscars. If this is indeed the case, it looks like La La Land has (again) won the category for ‘Best Film’ in 2017. Will social media successfully predict the Best Film nomination at the Oscars? All will be revealed come awards night.